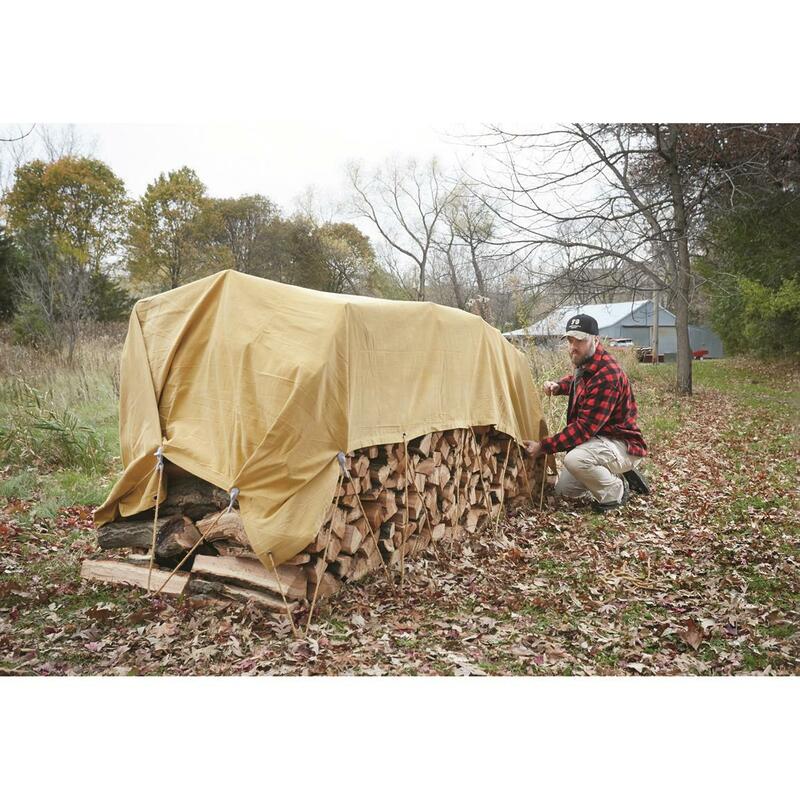 When the season ends and it's time to put things in storage, reach for one of these canvas Tarps and add a layer of protection between your stuff and the elements. Its water-resistant treatment makes this Tarp a good choice for outdoor use, but it can certainly be used indoors, too. 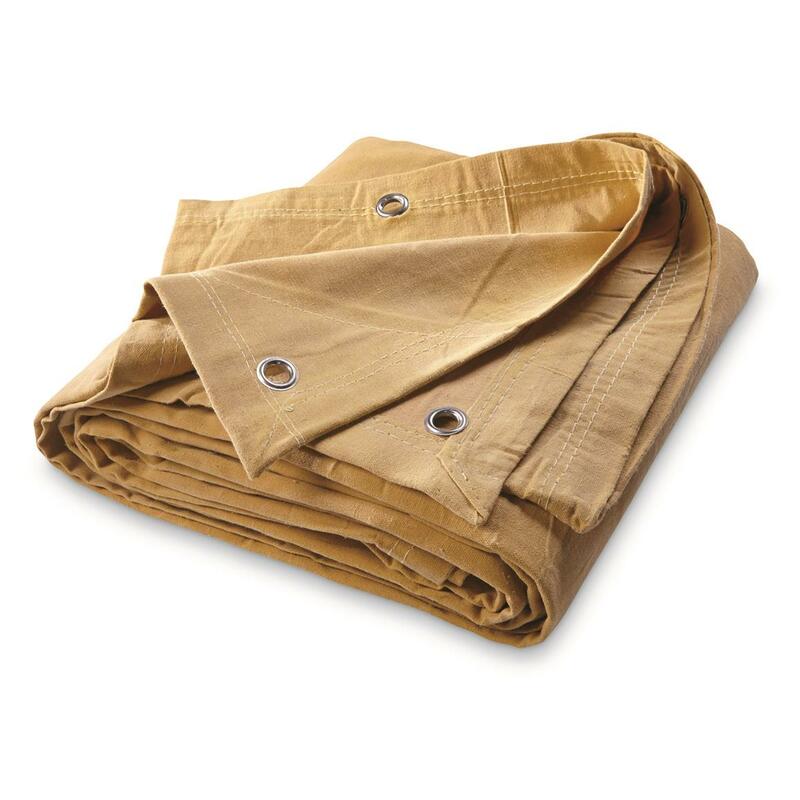 Canvas Tarp, 17 oz., Tan is rated 4.4 out of 5 by 5. Rated 5 out of 5 by Preacher from Heavy Much heavier than I expected. Really great price. I got 2 tarps on the 1st order, then reordered 3 more. Rated 5 out of 5 by jw_ohwell from I didn't think it was possible to find trpas like this I haven't seen tarps like these in years, I thought they had stopped making them. 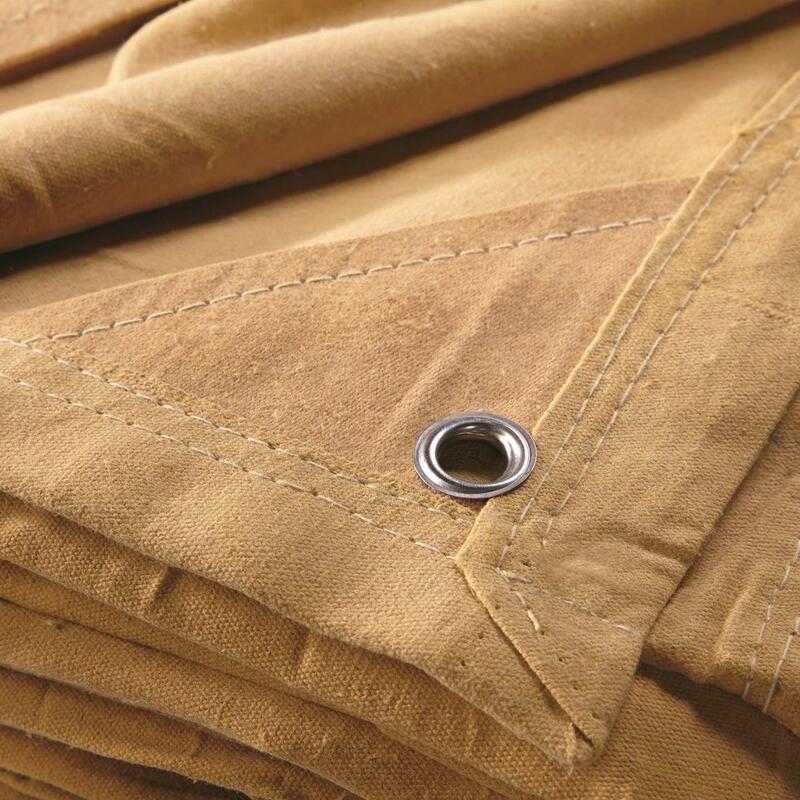 These tarps are a great value for the price, you won't be disappointed. Rated 5 out of 5 by Alvin from High quality, heavy material This is a great high quality canvas material, it’s heavy. Not for lightweight projects or needs. Purchased for a special project and not disappointed. Rated 2 out of 5 by Skullcracker1 from Great idea but not the best execution I bought one of these mainly to cover loads in my utility trailer. Snagged on something in the trailer on first dump run, creating a couple inch tear right in the middle of the tarp. OK, so snags happen and can be stitched, but I thought 17 ounce canvas would be much tougher. I have a heavy canvas tarp my Dad bought in the 60's that has really been through the mill and has never torn. Third use of this one, tying the tarp down with 1/4" nylon line - tore one of the edge grommets right out of the canvas. I wasn't even pulling it all that tight, just securing the tarp. So, although I was really pleased to find a good deal on a new canvas tarp I'm already looking at two repairs and I've only used it a couple times. Seems reasonably water resistant,so that's good, but it's just not very durable. Rated 5 out of 5 by delmario from Great product at a great price! Really looking forward to using this. Will be great for a variety of uses!! 6 ft. x 5 ft.
Be prepared for unexpected rain.